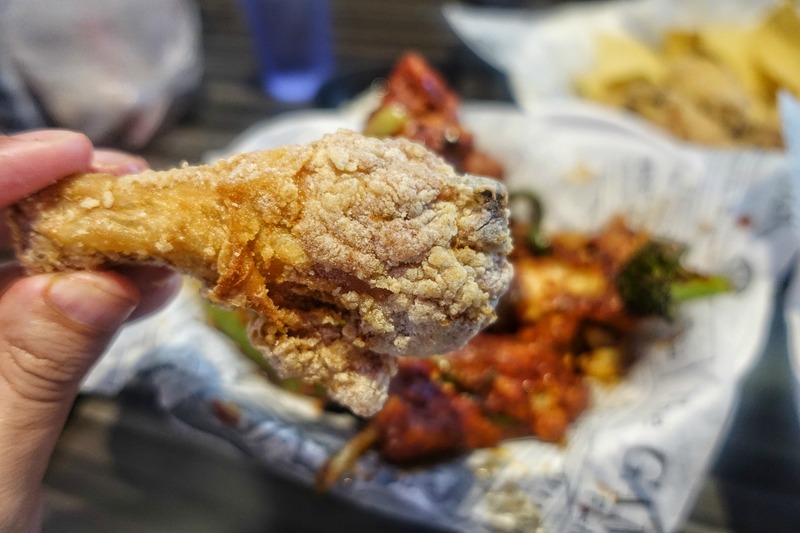 What makes Korean fried chicken different from the type we Americans have come to know (think again to that certain Kentucky-based fast food chain) is that it is double fried: first with a dry flour coating to render out the fat of the skin, and then a second time after it is coated in a thin batter. The result is an outer layer that crackles like egg shells. 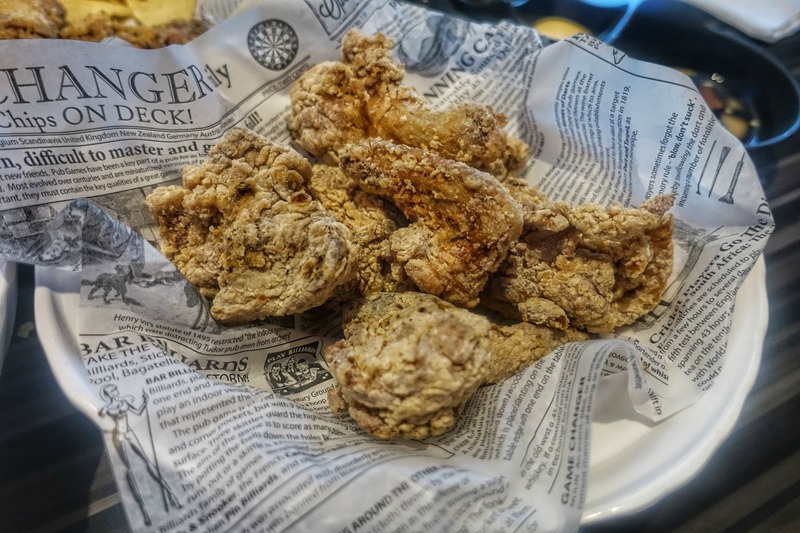 Some KFC places offer thicker batters designed to hold heavier sauces and treatments, but no matter the batter, the result is the same: crackly fried chicken that is also very moist. Thank U Chicken has several different varieties of fried chicken on the menu, including the eponymous Thank U Chicken (traditional Korean crispy batter), yang nyum fried chicken (fried in a spicy, sweet sauce), soy sauce chicken (exactly what it sounds like), Korean street chicken (fried in a lighter batter), and spicy fried chicken (fried in a spicy sauce with vegetables). The restaurant also has a long list of other chicken-based dishes like dak gom tang (chicken soup with noodles) and favorites such as rice balls, rice bowls, and stir-fried squid. Prices are quite a steal for the amount of food you get, and they have a few options for if you’re feeding a crowd: a whole fried chicken (divvied up into about 12 pieces) costs around $20. Or you can order a platter, which includes fried chicken gizzards, corn, fried potatoes, sweet potatoes, and fried rice, for $23.99. 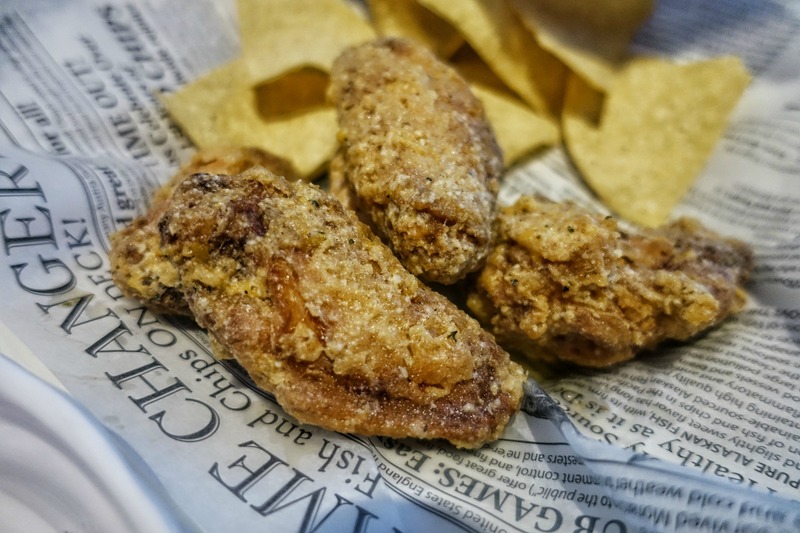 The cheese-garlic chicken wings at Thank U Chicken. The restaurant also serves jumbo wings, which should not be missed. My favorite were the oddly addictive garlic-cheese, with a taste a bit reminiscent of Chili Cheese Fritos and were so juicy I wasted a napkin between each bite. The crust managed to stay crispy even though it was loaded down with a hefty coating of cheese, which spread out in a web-like crust all over the already crackly chicken. Before you’re served your chicken, the restaurant provides you with plastic gloves and a communal dish of dipping sauces that range from thin and sweet to creamy and spicy. There’s also a dish of pickled daikon radishes, a standard at such restaurants so you can have a tart palate cleanser in between luscious chunks of fried chicken.